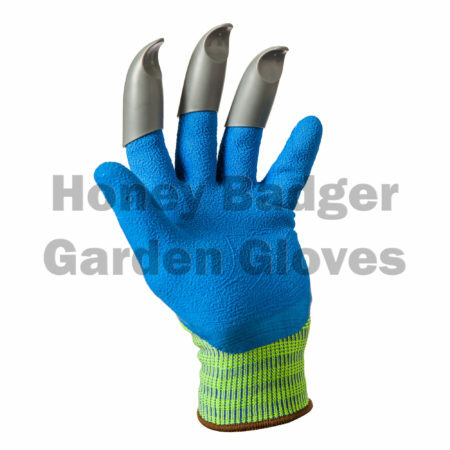 CAT PAW Garden Digging Gloves uses “DIGGING GENIE” technology that applies to all types of garden tools and earth moving tools/machine. 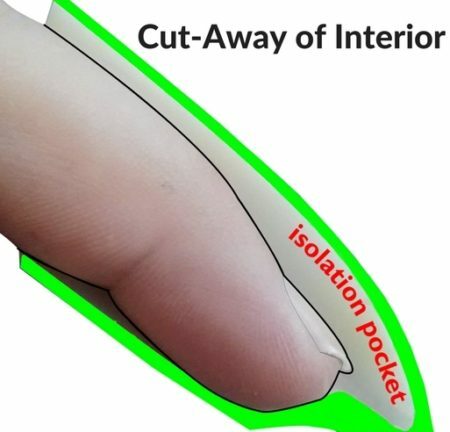 + No more Sore Fingernails due to the “Isolation Pocket” & Patent Pending Technology. 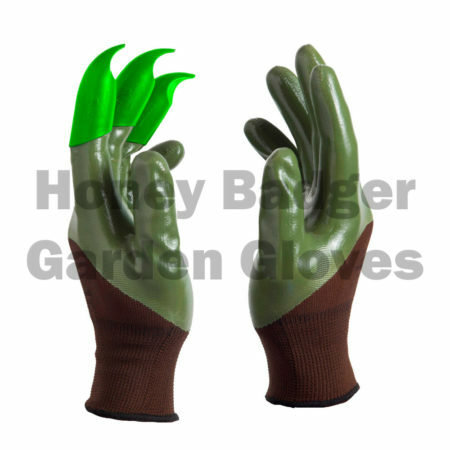 These gloves are made of 13 gauge breathable fabric and a mild elastic cuff to prevent dirt from entering. 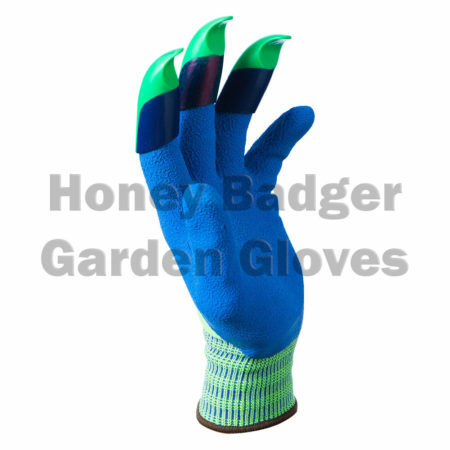 They are coated with cut – resistant Nitrile. 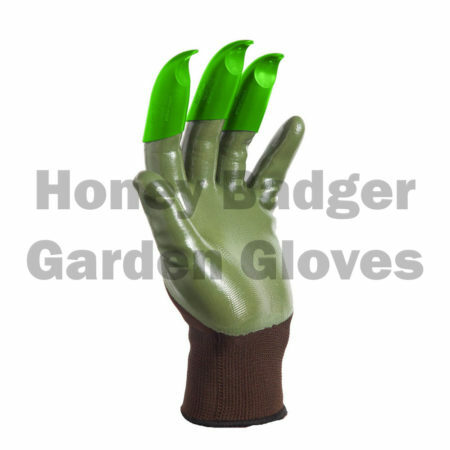 The claws are constructed of durable plastic & are rated for up to 200 hours of normal gardening tasks. 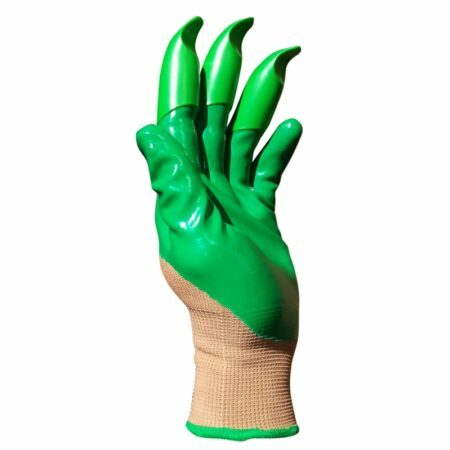 The CAT PAW model is a unisex product & comes in Men’s & Women’s sizes. Men's medium 8", Men's Medium/Large 9 1/2", Women's large 8", Women's Small/Medium Size 7", Women's X-Large 9 1/2"
We are a start-up company in Atlanta GA. Our mission is to apply sensible technology to gardening gloves, making life in the garden easier. 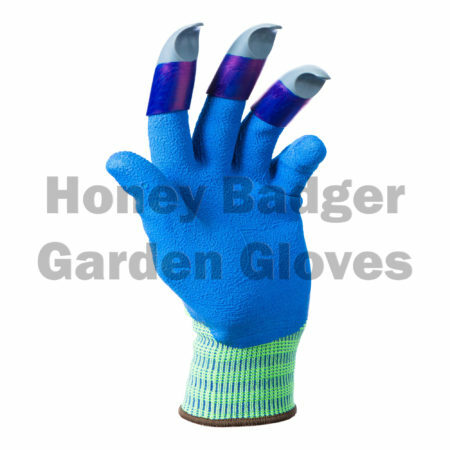 Gloves are an extension of yourself when you wear them. Recent years have brought practical technological advancements to just about every industry including sports. 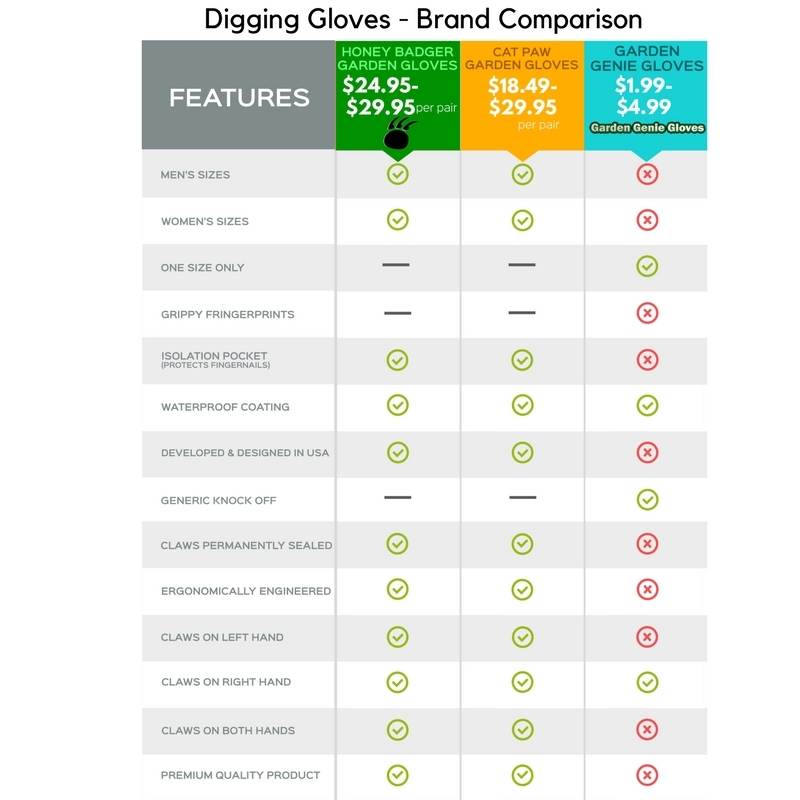 Think of a high-tech baseball glove of today vs. the ones used in the early 40′s. 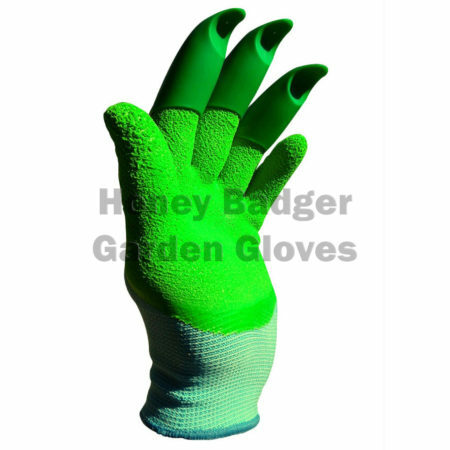 Or a glove used for oil drilling, golfing, swimming, food processing… Most industries have made leaps & bounds in the advancements incorporated in the design & materials used in their hand wear. As avid gardeners we are exited (- After two years of prototyping and evolution -) to finally offer the gardeners of the world, a glove that reflects the design principles applied to any modern, Eco-friendly, ergonomically designed item. Very satisfied with these gloves. 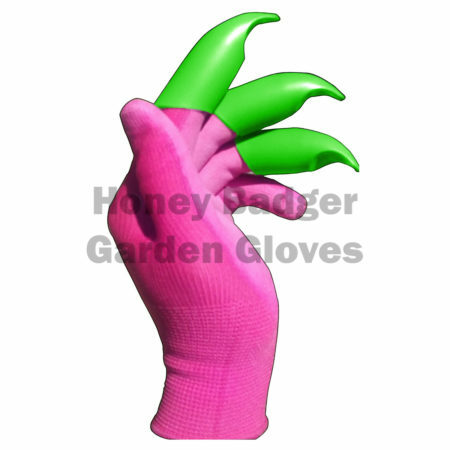 I got these as a gift for Mother’s day and have been using them for about two months. They work well in loose soil and perfect for weeding. Awesome feel & grip. 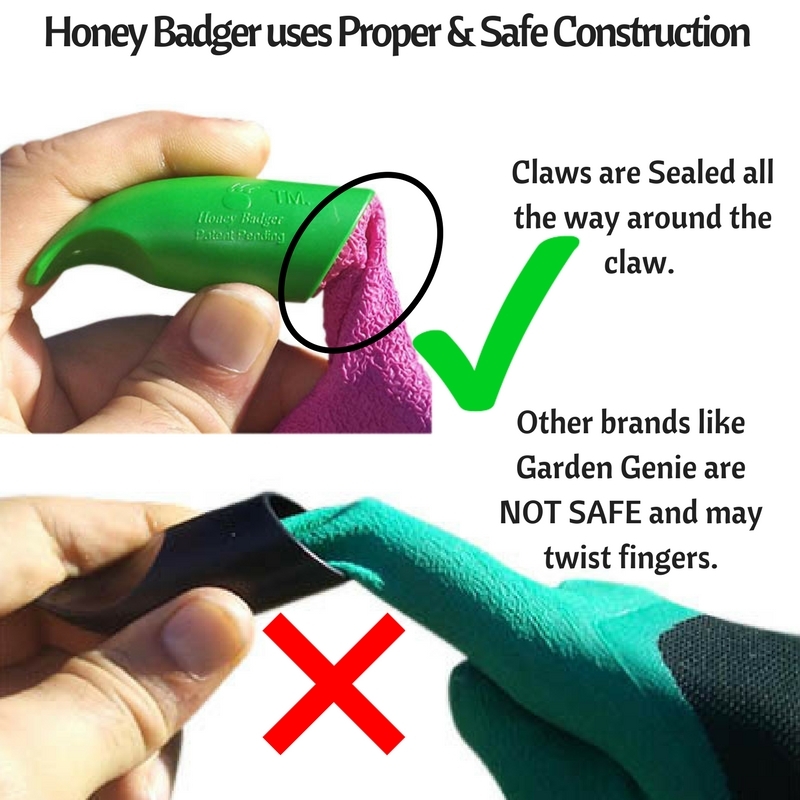 Comfortable when holing tools also. Glad I saw these gloves. 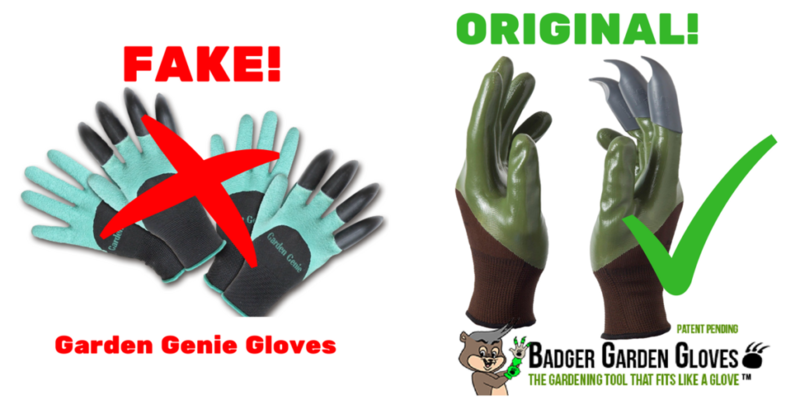 I never knew this type of gardening glove even existed, and tried them out after reading a few of the reviews. 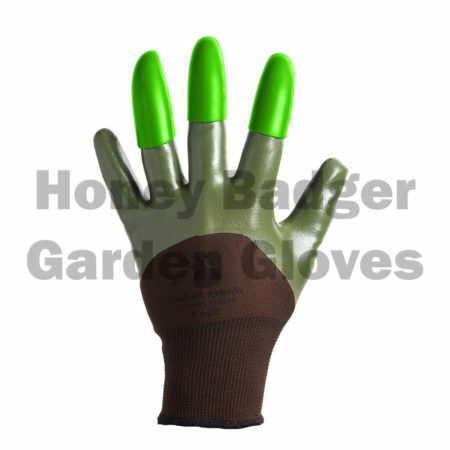 For most of the gardening I do ( which is not really much ) I find these to be well made and makes my work easier. 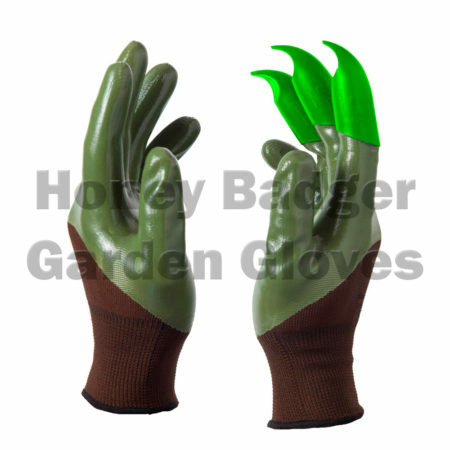 They have outlasted the previous gloves I normally used to buy by far. The fit was normal and true to size. 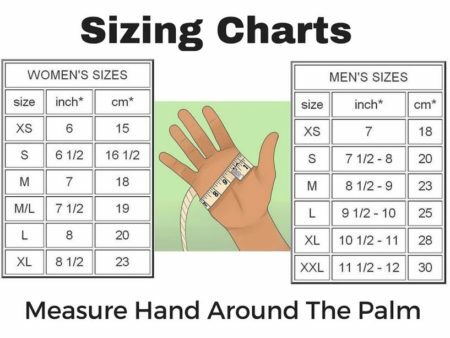 I wear a size 7 or Women’s Medium. 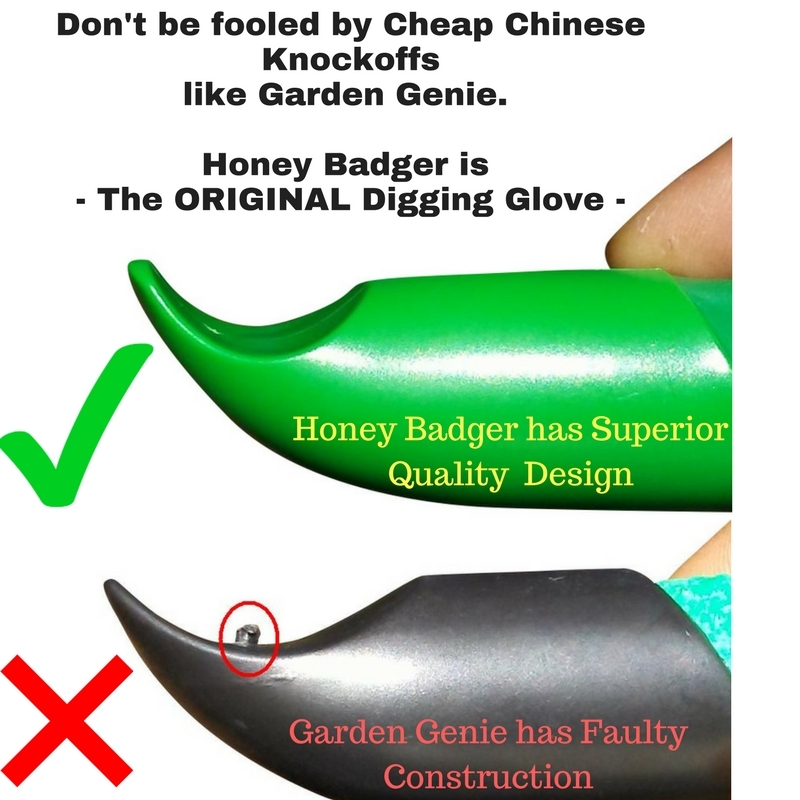 For a two in one product they’re pretty good. 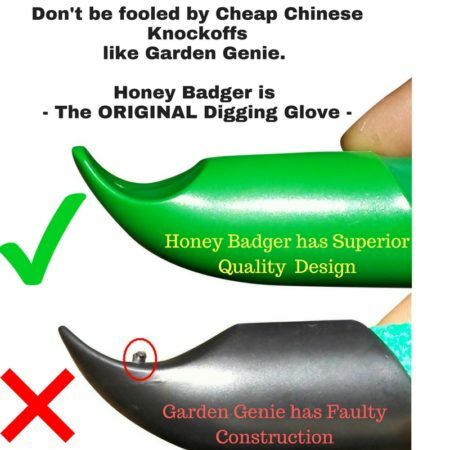 I still use my regular hand tools but somehow when gardening I end up using my hands more than expected. 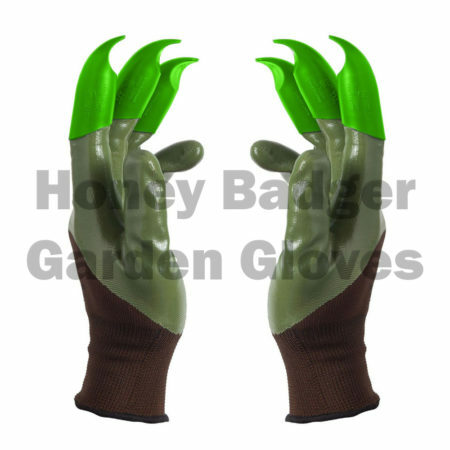 With these gloves I don’t worry about wearing the fingertips out. 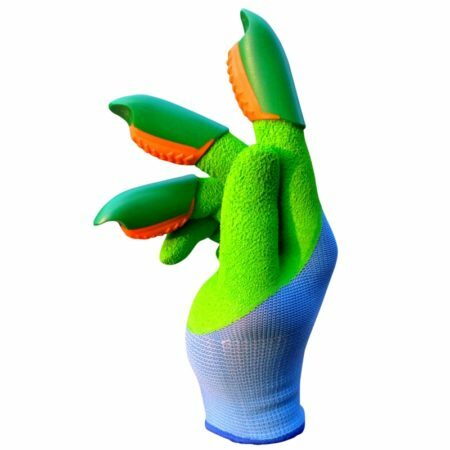 Holding or gripping hand tools is still good with these as the latex coating is grippy, but the claws on this model has grips too. I like these better. Comfy and sturdy too. 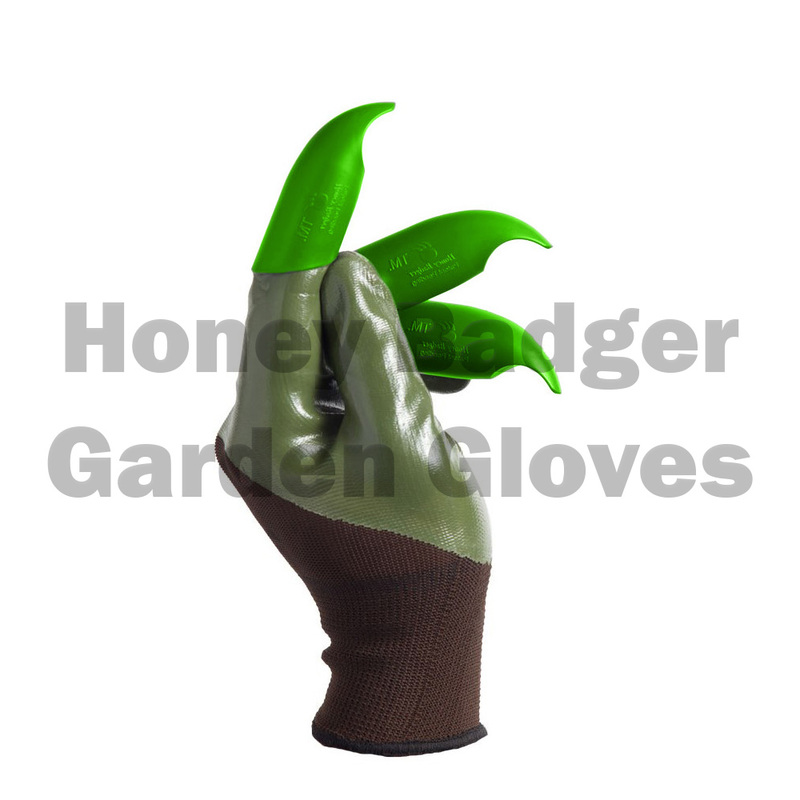 I have arthritis and these make my fingers less tired when pushing and pulling the soil around. 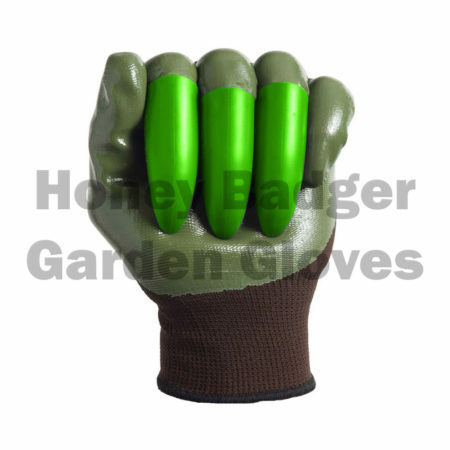 I use them for planting and harvesting veggies – Mostly light work around the garden. They wash & rinse pretty clean and my fingernails stay intact.